We have all at some point had that dreaded feeling of waking up on a Monday morning. Perhaps even reset the alarm a few times and laid in bed staring at the ceiling. If you have ever woke up and flipped through Facebook or Instagram then this is for you. Our first responses in the morning can shape our day. My mom would like to call this waking up on the wrong side of the bed, but there are things we can do to help get us up and ready. Mood Boosters! So in honor of Monday I would like to share some mood boosters that you may find help you in the morning. 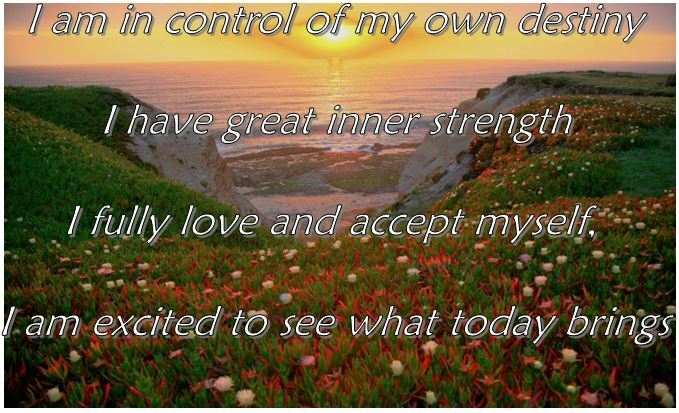 Some call these affirmations, some call them mantra’s, these quick reminders to ourselves help our mind wake up and start the day empowered. I hope you are excited for the day and the week ahead. I would love to hear what kinds of affirmations / mood boosters you use or would be interested in using.